Well, what a great day and wonderful turn out. I’d like to say a special Thank you to all of our special speakers who came out and shared their stories today, (VERY MOVING) read and watch their video Testimonies Here. And also and huge thank you to all of the Knights of Columbus who came out in full Regalia to lead the march, what a wonderful site to see. I could go on and on, but for now, please enjoy the photos and listen to the special recorded message from our Auxiliary Bishop Del Riego, who was kind enough to bless all who were able to come out for this event. 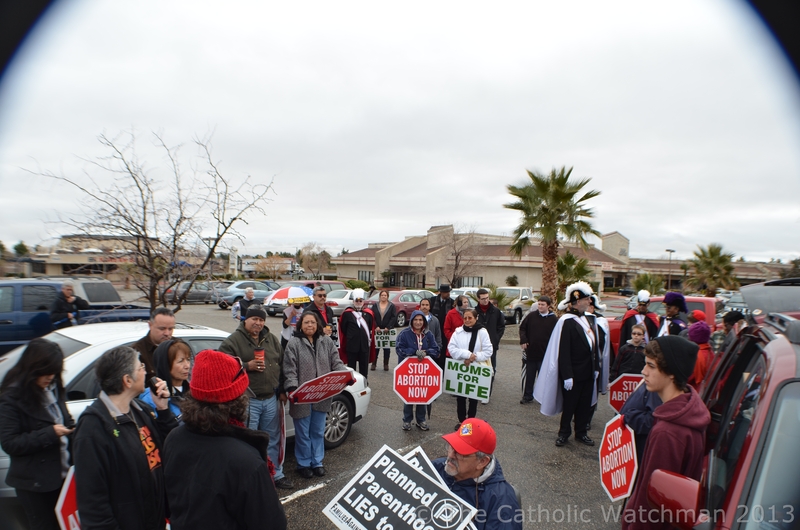 Again Thank you all for making this March For Life a great success, and May GOD Bless you ALL!!! This entry was posted in General Updates, Recent PP Fight Update. Bookmark the permalink.